Our post “The Best Student Discounts You Don't Want to Miss Out On,” which lists companies that offer student discounts and offers advice about where to bring a student ID, was republished on the Student Loan Hero blog. Student Loan Hero’s mission is to help students and graduates understand their student loans and to help them determine the best way to repay their loans once and for all. Read our full post here. "Techniques to Help You Make Smart Purchasing Decisions"
"How to Balance School and Work-Study without Losing It"
"Creative Ways to Save Money Even When You Feel Broke"
Our post “Dealing with Bedbugs in College,” which talks about all things bedbugs—what they are, what they look like, how they spread, and how to get rid of them—was republished on BeansTALK!. BeansTALK! is a blog run by Beantown Bedding, producers of eco-friendly, disposable, and compostable bedding for college students. Read our full post here. Our post “How to Afford College when the FAFSA Doesn’t Foot the Bill,” which talks about negotiation tactics for students who received less-than-stellar financial aid packages, was republished on the ScholarPrep blog. ScholarPrep is made up of a mother and daughter pair who developed both a physical organizational system and an online course to help students prepare for and stay organized throughout the college application process. Read our full post here. Student Caffé received the Education Standard of Excellence award! 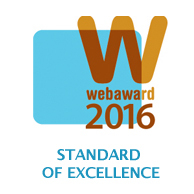 Student Caffé is a proud winner of the 2016 Education Standard of Excellence Award from WebAward.org! Click here to view our winning entry page. Student Caffé was featured on Good Morning, Washington! "WASHINGTON (ABC7) — Student Caffé is a start up, which just launched in March, that focuses on assisting every student, regardless of age, gender, sexuality, race, income, etc., to find their path to higher education. The best part? It’s a free, inclusive resource! Student Caffé's Social Media Director Katelyn Brush and Lead Writer Megan Clendenon gave us a virtual tour of the site that's connecting students to resources worldwide."